Lost in the passionate debate in Vancouver about beluga whales is the sobering question all Canadians should be asking as we celebrate our nation’s 150th birthday. Which of Canada’s magnificent wildlife species do we want to save for the next 150 years? We proudly cite our spectacular wilderness and abundant wildlife as symbols of our national identity, but the reality would shock most Canadians. With 248 species listed as endangered, our nation is part of the global mass extinction that has seen 60 per cent of vertebrates disappear over the past 40 years. In that same period, 80 per cent of our ocean fish biomass has vanished due to commercial fisheries. Forget the birthday cake, Canada, we need a wake-up call. People get loud and involved to save an individual animal but are strangely silent about the fate of an entire species. Two years ago, there was worldwide outrage when Cecil the Lion was killed in a preserve in Zimbabwe. Yet Cecil was only one of 15,000 lions lost in the last 20 years. When the headlines faded so did interest in Africa’s lion population, which continues to plummet toward extinction. Will those who shook the placards in Vancouver now demand greater investment to save struggling cetaceans and other aquatic species? 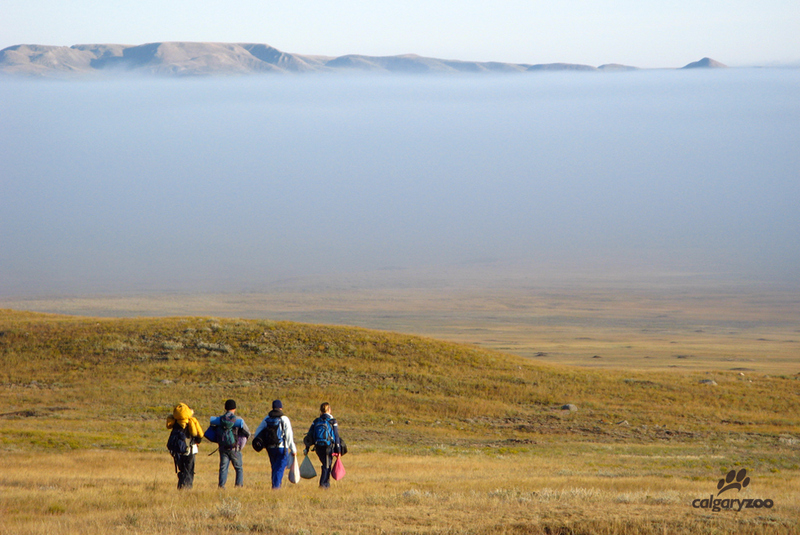 The Conservation Research team in Grasslands National Park. We need to recognize that time is running out to save Canada’s precious wildlife and wild places. Among the few institutions that are seriously focused on averting the national wildlife crisis are Canada’s progressive zoos and aquariums. These institutions are taking real action to save species through field studies, breed-and-release initiatives, rescue programs and public engagement campaigns. The Calgary Zoo, for instance, has seven major projects that are reintroducing endangered species back into their habitats in western Canada. There is a growing list of species that survive in the wild today because of significant efforts and contributions of zoos and aquariums. In Canada that list includes whooping cranes, Vancouver Island marmots, swift fox, eastern spiny soft shell turtle, copper redhorse, black-footed ferret, eastern loggerhead shrike and Oregon spotted frog. In a perfect world zoos wouldn’t need to exist. Sadly, with animal populations crashing and habitats disappearing, zoos and aquariums have become the last refuge for many species. In addition to protecting insurance populations, zoos and aquariums are developing unique expertise that is essential for endangered species recovery plans. The ideal goal is that each year we release more animals back into the wild than what we have in our care. 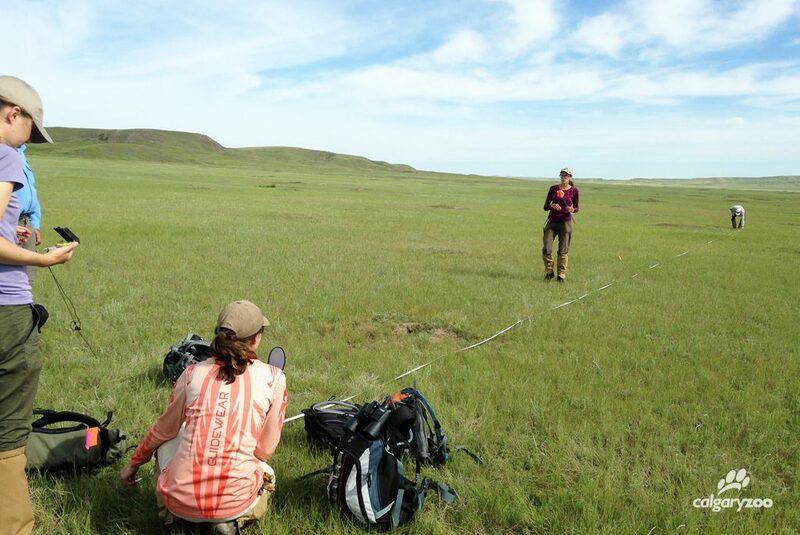 Conservation research team members measure the plots in which they are capturing the prairie dog data. Without question, the welfare of animals under human care must be uncompromised, with appropriately spacious and complex habitats that fit the physical, physiological and social needs of each species. It is right that all zoos and aquariums are held to highest possible standards on animal welfare – in fact, Canadians should insist that the standards set by Canada’s Accredited Zoos and Aquariums are mandatory in every province. Today’s progressive zoos and aquariums are no longer just a great place to spend time with family and friends. They are becoming vital hubs for public engagement. The Vancouver Aquarium’s Shoreline Clean-up and Ocean Wise programs and Toronto Zoo’s Adopt-A-Pond outreach programs are amazing examples. These organizations are inspiring action that is saving Canada’s wildlife. The decision in Vancouver along with the debate over Bill S-203 for a ban on cetaceans in captivity do not offer solutions. Shutting down science and education is not the answer. That may be politically expedient but it’s a sure path to extinction for many Canadian species. 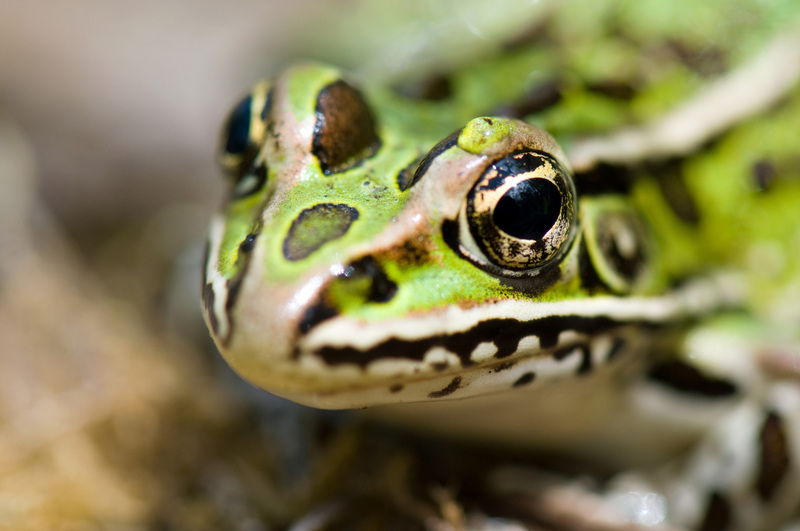 A close up of the northern leopard frog, one of the Calgary Zoo’s conservation animals. Canadians should be asking more, not less of its zoos and aquariums. Instead of adding barriers to the cetacean research program, the Vancouver Park Board should be working with Aquarium scientists to set ambitious targets for cetacean conservation, research and public engagement. With emerging uncertainties for beluga in the Canadian arctic with global warming and anticipated increase commercial shipping traffic, beluga need more than ever institutions like the Vancouver Aquarium to tell their stories and make sure that they will not become forgotten like so many other species…before it is too late. When Canada celebrates its 200th anniversary, let’s hope there remains the amazing diversity of wildlife that made our first 150 years so proud. This article also appears in the Saturday, March 25, 2017 issue of the Calgary Herald. 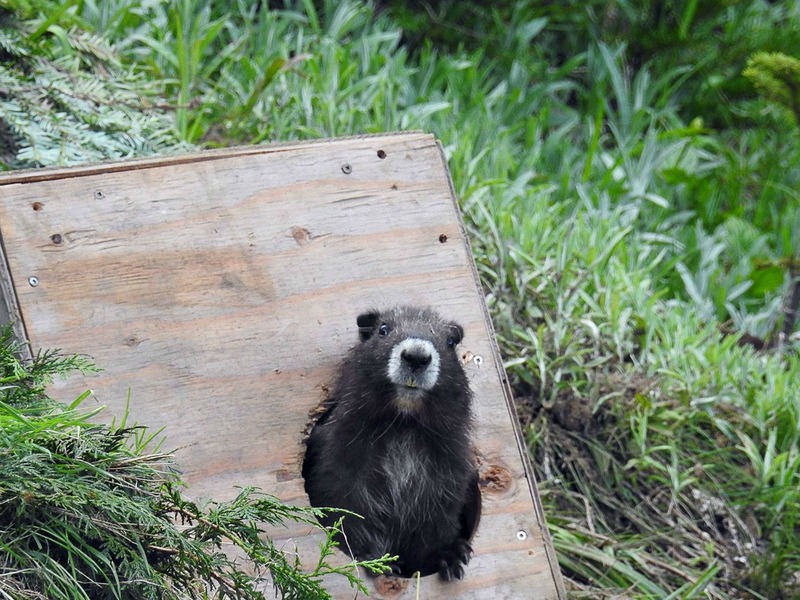 Learn more about the work of the Centre for Conservation Research at the Calgary Zoo.